The direction of China in 2019 is a source of concern — it remains to be seen how much downward pressure GDP growth is going to face. Authorities, however, will continue to roll out policies in support of the private sector, with the commercial property industry being a beneficiary. David Hand, CEO for the Asia-Pacific at Colliers, says that the trade dispute between the United States and China remains a risk that weighs down investor’s confidence, causing delays in decisions about property investment. In this interview, he shares his views on the trends that will shape this year’s property story. 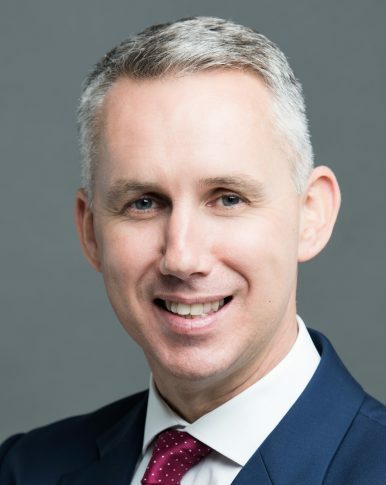 Maurits Elen: Will China’s commercial property market face a tough year in 2019? David Hand: 2019 is likely to prove more challenging than 2018, as financial market risks, policy uncertainty, and trade tensions weigh on the Chinese commercial property market. Nevertheless, we remain cautiously optimistic about prospects for the Chinese commercial property market, since more relaxed monetary policies encouraging private sector investment look set to continue in 2019. The Chinese government has already taken steps to counter the negative effects of the trade dispute, since policies are now aimed at encouraging domestic consumption to stimulate GDP growth. As China transforms itself from an export-oriented economy to a market driven by domestic consumption, policies such as lower import tariffs and disposable income tax cuts should boost private sector investment. This trend should particularly support the office and logistics sectors of the commercial property market. What policy adjustments can be made to support the market? Since early 2018, China has been trying to reduce financial leverage, especially in property. This theme will continue in 2019 and perhaps 2020. However, taking account of recent cuts to banks’ reserve rate requirements and ample money supply in the Chinese financial system, it seems clear that the government aims to encourage private sector investment. Besides policies such as lower import tariffs and further reserve rate requirement cuts intended to boost consumption, the government may take further steps to support infrastructure investment. Such measures should support commercial property. What property sectors and cities are attractive to invest in? First tier cities in China still represent attractive investment targets, given firm medium-term growth prospects. We think the office and logistics sectors offer the best opportunities, together with smaller market sectors like business parks, with investment yields typically higher for logistics and business parks than for offices. Economic growth is highest in South China (especially Shenzhen), which is one of Asia’s key hubs for technology development and is profiting from government-driven infrastructure investment through the Greater Bay Area plan. Solid demand for leased space from technology occupiers in South China should drive rent growth over time, compensating for near-term oversupply of offices in certain areas and near-term negative impacts from the trade dispute. Among all property sectors, reflecting a likely increase in domestic consumption leading to higher online retail sales, we expect logistics to perform best in China in 2019, with rent and capital values rising further. However, tradable logistics assets in first tier cities are scarce. Hence we expect investors to pay more attention to logistics assets in the second tier cities surrounding the first tier cities in 2019 and 2020. This is true in all China’s key regions. To what extent has the trade war affected foreign investment into China’s property market in 2018? The trade dispute between the United States and China represents an important risk that is affecting Chinese exports as well as investment in manufacturing and general confidence. Chinese financial markets are now in subdued mood with real GDP growth ticking down to its lowest rate in 10 years at just over 6 percent, Chinese stock markets down by around a quarter from their highs in early 2018, and the Chinese renminbi down by almost 10 percent against the U.S. dollar since April. Mirroring the slowdown in economic growth, aggregate inward foreign direct investment (FDI) to China dropped by 26 percent year-on-year in Q3 2018 to $24.3 billion, according to Oxford Economics. Information from the National Bureau of Statistics suggests that foreign investment in enterprises for real estate development dropped by 36 percent YOY over the first ten months of 2018. The U.S.-China trade dispute will probably continue to affect investors’ confidence, resulting in delays in decisions about property investment. What are important sources of foreign investment into China? Based on data from Real Capital Analytics, we estimate that aggregate transactions of income-producing properties in China reached $213 billion between 2012 and H1 2018. Cross-border funding was involved in 27 percent of these transactions. By region, the Asia-Pacific (excluding China) accounted for 75 percent of the cross-border deals, the Americas for 18 percent, and Europe for 7 percent. The fact that a high proportion of investment comes from the Asia-Pacific should help mitigate the impact of possible reduced interest from investors in the Americas. How are regional investors likely to approach the China market? In the context of regional property investment, we see the large mainland Chinese cities as too large to ignore, even if other Asian urban markets such as Tokyo, Singapore, Bangalore and Hong Kong also present attractive opportunities. Given the impact of deleveraging policies and tight liquidity in China over the past few years (despite recent signs of easing), certain domestic investors have come under pressure, and so fund managers based outside China may be hoping to acquire assets at discounted prices. Searching for distressed assets will probably be one strategy for foreign investors in Chinese commercial property in 2019. In addition, owing to the prevailing modest investment yields for core office assets in China, global and regional investors may also focus on value-added property investment in the first tier cities. Value-added approaches include the acquisition of underperforming assets for upgrade or conversion, focusing on providing greater flexibility, better user experience, and improvements through better design and technology. The most successful investors will be those who select the right property assets, requiring detailed knowledge of local markets and are able to demonstrate a high level of asset management expertise.